to get instant updates about 'SEO Content Writer' on your MyPage. Meet other similar minded people. Its Free! This blog is about writing SEO content so your blog gets to Google's first page. 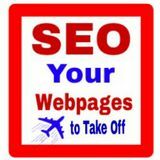 I post videos and downloadable PDF documents all of which have to do with search engine optimization.